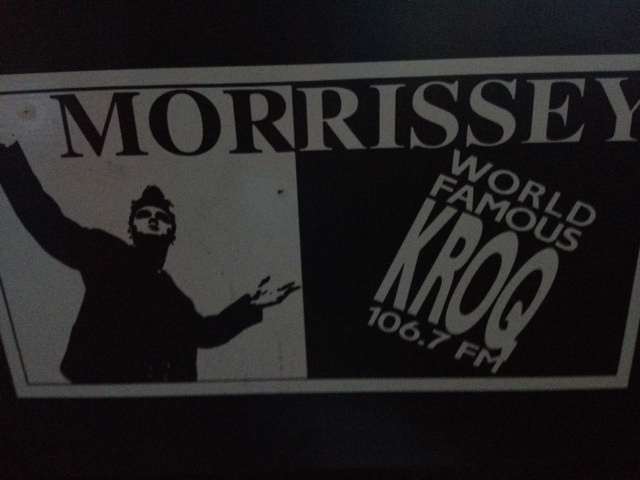 A memento from the best concert of 1991, my first concert, Morrissey at Pacific Amp. Yes, it's still on my dresser drawer. Photo: Liz O. My friend Diana from Club Underground, had suggested that I write a year-end album list. I started compiling one. Soon, however, I realized that I couldn’t add anything to the end-of-2011 conversation except for more gushing over M83. In 2011, I had a few serious episodes of 1991 déjà vu punctuated by bouts of ennui that rivaled the summer after eighth grade. I blame the economy, or something. Point being, I revisited a lot of early 1990s albums this year and so it made more sense to compile the list of the best albums of 1991 now. If you had asked me for a Top 10 list in 1991, it wouldn’t be this. Back in 1991, I would have added Morrissey’s Kill Uncle and Siouxsie and the Banshee’s Superstition just because I was a huge fan of the artists. I was in denial of the fact that they are both subpar albums. I also would have mentioned Nevermind. Needless to say that I’ve since tired of that album. However, many of the albums here would have been on my real 1991 list. Others I didn’t hear until a couple years later. Regardless, I think all of these are worth a few plays in 2011. Get to it. Club Undergroud welcomes the lovely DJ Liz O. & the equally lovely DJ Bip Jeffington to our team. Both Liz & Jeff have guest DJ’d for Underground in the past and the response is always a great, so we look forward to having them aboard in 2012 and beyond! Both Liz & Jeff have DJ’d at some of LA’s best clubs as well as having producing their own successful nights/events. Full DJ profiles coming soon on our new website (launching soon) and on future email blasts. Club Underground is one of my favorite parties in L.A. and I’m really happy to be joining the team and have the chance to spin amazing Brit pop, indie and electro records regularly. To celebrate, let’s dance to the song after the jump.